Last week I was contacted on Facebook by a fellow who’s involved in a Viking commemoration a tad different from the kind I’m used to. But I was honored to be asked to assist him, and I want to publicize his effort. He’s the president of a group devoted to memorializing a remarkable World War II US Army unit. 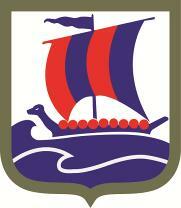 The 99th Infantry Battalion (Separate), also known as the Viking Battalion, was organized in 1942 at Camp Ripley, Minnesota. Its purpose was (originally) a specific, specialized one (that’s what the word “Separate” means). It was intended for the invasion of Norway – an option for the European invasion that remained under consideration long into the war. The bulk of its manpower came from Norwegian merchant sailors who’d been stranded overseas by the German invasion in 1940, plus Norwegian-American young men, many of whom had grown up speaking Norwegian. They trained for mountain warfare in Colorado, and later as commandos in Scotland. As it worked out, of course, the invasion happened in Normandy. The 99th participated in that action and its aftermath, and fought with distinction in the Battle of the Bulge. Finally they were sent to Norway after the surrender, in order to help establish order and evacuate the German occupation troops in an orderly manner. There’s going to be a special commemoration event on Saturday, August 12, at Camp Ripley, near Little Falls, Minnesota. I’ve been asked to be there in Viking costume (just to confuse the visitors, I imagine) and I may bring some other Vikings along. If you’re interested in the event, let me know in comments, or just watch this space. I’ll be keeping you posted.